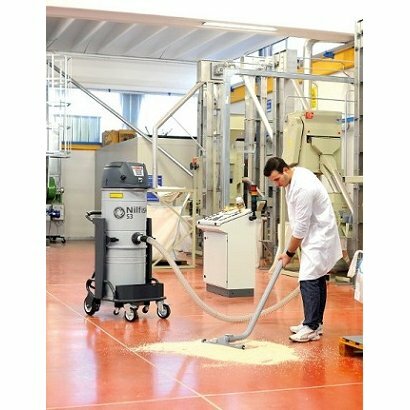 The Nilfisk CFM S2 range are single phase industrial vacuums with 2 “by-pass” motors. 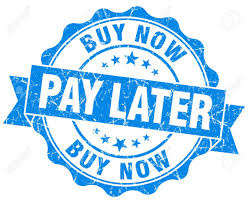 They are fitted with an electronic board for efficient control and easy monitoring. 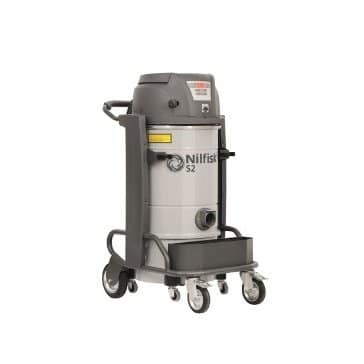 Nilfisk CFM S2 machines are available with a 40 L bin or a Gravity Unload System (GU) with plastic or Longopac disposal Bag. L, M and H dust classes are available. All the models have an electronic control panel for easy retrofitting, a manual filter shaker and a release container system. 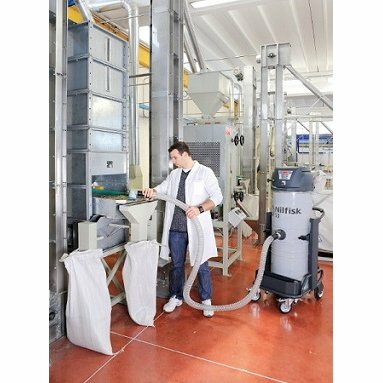 Several variants are available partially or completely in Stainless Steel, with Upstream Hepa filter, Nomex filter in order to meet the specific needs of the market. Model S2 GU FM features instead of the metal bin a gravity unload device with a hopper where a simple plastic bag or a more sophisticated Longopac system can be fitted. The collected material falls inside the disposal bag once the vac is switched off. A flap opens allowing the material to fall into the bag. Model S2 GU FM apart the gravity unload device has as default an “M” Class primary filter that retains very fine dust. Furthermore the new 460 Single phase platform has also planned a version with an electric filter shaker that automatically shakes the star primary filter before and after work maintaining a good filtering efficiency.